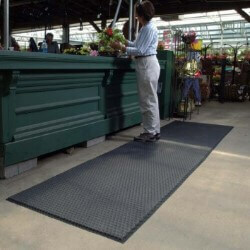 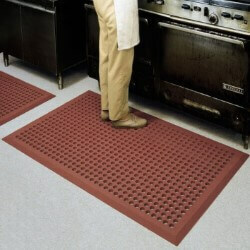 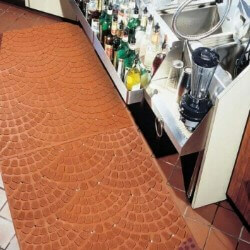 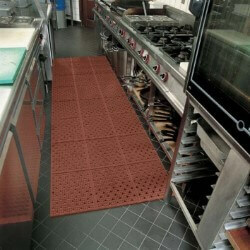 Commercial kitchen mats made of durable rubber featuring drainage holes to allow liquids to past through them. 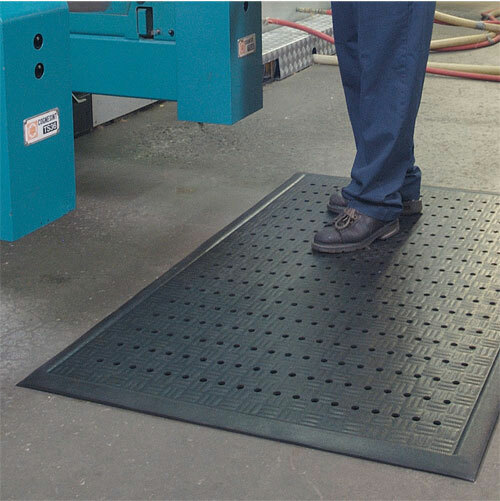 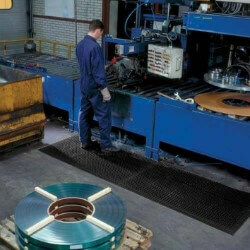 Anti slip for wet area use and with excellent anti fatigue properties to provide workerâ€™s comfort. 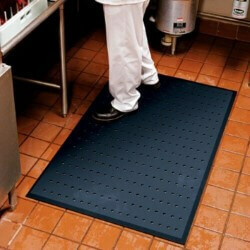 Most food service and kitchen mats resist grease and mold/mildew growth as well. 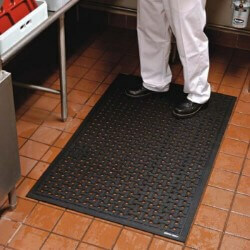 Ideal for use in areas of frequent spills and standing water. 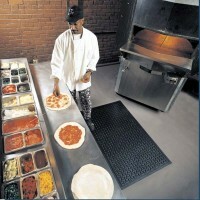 Ideal for dishwasher areas, bars, chef stations, walk-In Freezers, cooking line and carving stations.